Just close your eyes and imagine it for a moment: you’re driving down a long, gloriously empty stretch of road. The wind is blowing through your hair, your favourite song’s playing on the radio, and you’re either enjoying the solitude or hanging out with some of your very best friends. Even if you don’t drive, there’s no escaping the romantic notion of a road trip – after all, it encapsulates the notion that sometimes it’s not about the destination, it’s about the journey. So whether you are trundling down towards the horizon in a beat up old minivan or roaring through the landscape in your fantasy car, these roads won’t fail to take your breath away. It just wouldn’t be right to point out the best roads in the world without making mention of one in the country that popularised road tripping in the first place. This particular 90-mile (140km) stretch runs from San Simeon to Carmel, hugging the cliffs of Big Sur and passing through several coastal parks and over several bridges, including the Bixby Creek Bridge. 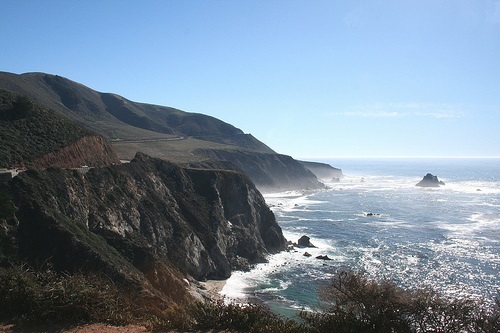 Of course, despite the amazing views, you’ll want to avoid Highway 1 during peak hours – but you can head east and take a detour through the less-famous but equally cool Nacimiento-Fergusson Road, which also offers great view of the coast. Ever felt like cruising for 151 miles (it just sounds so much more poetic than 243 kilometres) along the south-eastern coast of Australia? Then this is definitely – actually, make that exactly – the road for you. 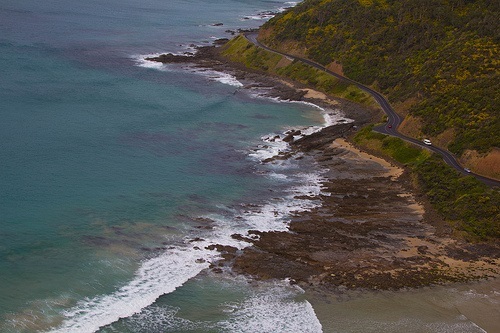 Winding its way between Torquay and Warrnambool, the Great Ocean Road is actually an Australian National Heritage built between 1919 and 1932 by returned soldiers from World War I, making it the world’s largest war memorial. It’s not altogether dissimilar to driving along Highway 1 – plus you’ll see prominent rock formation landmarks (like the Twelve Apostles and Loch Ard Gorge) en route. If the previously mentioned roads seem a little too open for your taste, then the Guoliang Tunnel promises a whole new driving experience. 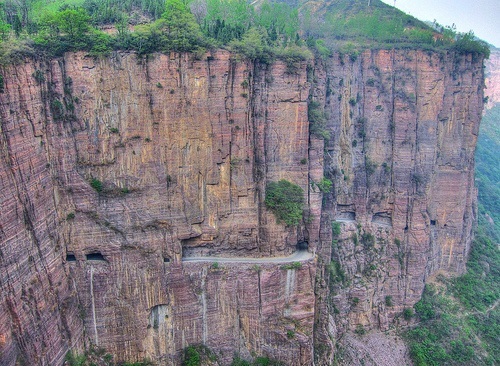 The tunnel’s carved into a section of the Taihang Mountains in China’s Henan province; though it’s only three or four miles long, it still makes for a breathtakingly unique experience. Heading to Italy? Got a car? Fond of driving along World Heritage-sanctioned roads? The 25-mile (40 km) Amalfi Coast should definitely figure in your travel plans then, seeing as it’s considered Italy’s most beautiful stretch of coastline and was in fact put on the World Heritage list in 1997. It’s located along the southern end of the Bay of Naples, on the southern part of the Sorrento Peninsula. 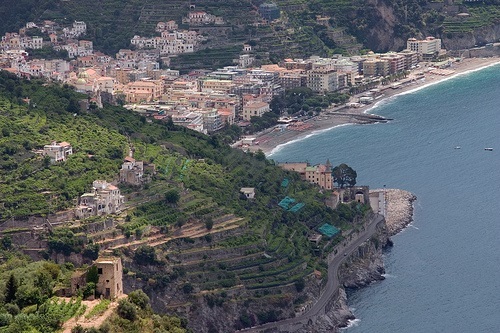 You’ll get to head through coastal towns like Positano and Ravello, and enjoy amazing views of the mountains, the oceans, and pretty much everything in between. There’s just no better way to enjoy everything that coastal Italy has to offer. Another fairly short road – it’s only about an 8km (5 miles) section of the Country Road 64 – but what a road it is. 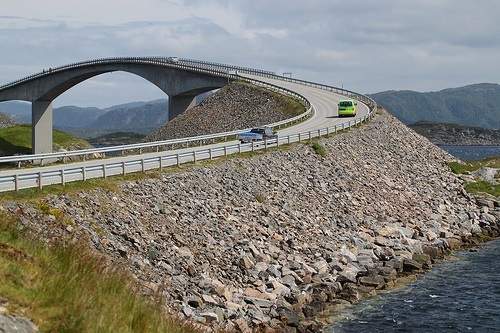 The Atlantic Road (as it’s also known) mostly spans water, but it’s not quite a bridge – it’s built on several small islands and skerries and consists of causeways, viaducts, and small bridges. Opened in 1989, the road is preserved as a cultural heritage site and is classified as a National Tourist Route. 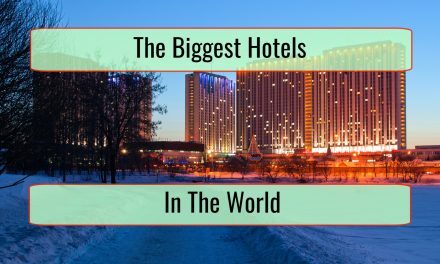 Perhaps more importantly, it’s a popular location for filming car adverts, has been declared the world’s best road trip, and been awarded the title, ‘Norwegian Construction of the Century’. Now why would you want to miss this, again…? Rest assured: this is just a small, small selection of some of the amazing roads out there that seem to have been made for road trips. Roads like that are accessible all over the world (as I hope the above list demonstrates) from the best drives in the UK to the most scenic routes in South Africa – so no matter where you are, it’s likely that there’s a great road for you to enjoy not too far off. What are the best roads you’ve ever cruised down? Share your experiences in the comments below.